Danske Bank A/S’s Estonian operations were used to launder as much as $8.3 billion, more than double previous estimates, according to Bill Browder, the fund manager who is leading a global campaign against the Kremlin over human-rights abuses. As Browder presses his case, the disclosure could deepen the legal and reputational woes of Denmark’s biggest lender, which was reprimanded by regulators in May for failing to monitor for money laundering but avoided prosecution. 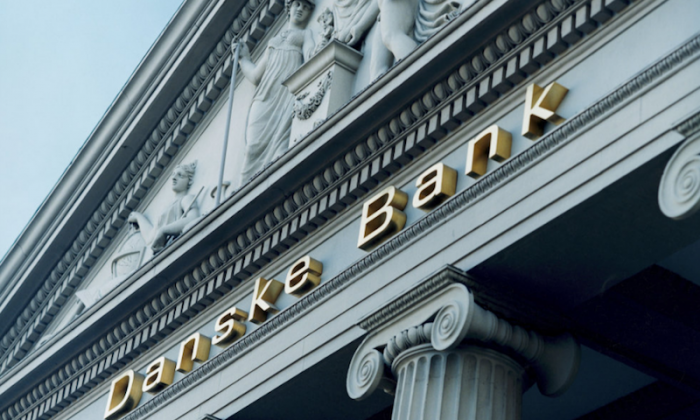 The possible widening of Danske’s misdeeds in Estonia follows the bribery indictment of Latvia’s central banker and U.S. allegations of money laundering there. Together, they highlight the risks of banking in the Baltic states, inviting tougher oversight of Russian money flows. Shares in Danske fell 2.3 percent in Copenhagen on July 4. Its riskiest euro and dollar bonds also lost ground this morning. The 7 percent dollar contingent convertible bond dropped a cent to 97.1 cents on the dollar, while the 5.76 percent euro CoCo fell to its lowest level since January 2017. “It is too soon to draw any conclusions about the extent of the potential money laundering in Estonia,” said Danske’s Head of Group Compliance Anders Meinert Jorgensen. Danske Bank expects to release the findings of an internal investigation of the money laundering breaches in September. It’s not known who exactly is behind the transactions, but previous leaks showed money made its way from Russia, Moldova and Azerbaijan through Danske’s laundromat. The laundering is also thought to have involved funds linked to an illicit scheme exposed by Sergei Magnitsky, Browder’s lawyer who died in custody in Russia in 2009. Browder, who was thrown out of Russia in 2005 after his Hermitage Capital Management released documents it said exposed corporate and government corruption, said he will use the latest allegations against Danske as the basis for an official complaint. “We are working on a new criminal complaint including these discoveries, which we intend to file with the Danish and Estonian law enforcement authorities shortly,” Browder said by email on July 4. He noted that he’s been digging into money laundering and links to criminal gangs in Russia for the past nine years. The bank is continuing to cooperate with the authorities and provide material “on an ongoing basis to the extent that this has not already been done,” Jorgensen said. Jesper Nielsen, head of banking in Denmark at Danske and a member of the executive board, said the laundering investigation is taking up a “big chunk of management’s time,” in an interview conducted before the latest allegations became public. Commenting on Browder’s disclosures July 4, Danish authorities said they’re tracking the case. Danish Business Minister Rasmus Jarlov said this week the bank’s internal probe won’t be enough to satisfy the government and said he was awaiting the findings of other investigations. Previously, the estimate of the amount laundered was about 25 billion kroner ($3.9 billion). The government and central bank have said the case risks hurting the reputation of the whole country, which has otherwise been associated with extremely low levels of corruption. Danske was reprimanded in May by the Financial Supervisory Authority in Copenhagen and ordered to hold an additional 5 billion kroner, or $781 million, in regulatory capital, among other disciplinary measures. Chief Executive Officer Thomas Borgen has publicly apologized for the bank’s failure to act sooner. Last month, he revealed that he had even discussed with the board the option of stepping down. But the board concluded he should remain so the bank can draw on his experience to avoid a repeat. Denmark is in the process of tightening its laundering laws in response to the Danske scandal, but Jarlov has lamented the fact that it won’t be possible to apply the legislation retroactively. As the size of the laundering allegations balloons, public indignation toward Danske is mounting. Per Hansen, an investment economist at Nordnet, says the latest figures “of course place an increasing amount of pressure on the executive management” at Danske. As for management, the bank listed a number of changes it’s already made, including a new management team in Estonia and the resignation of executive board member Lars Morch. The bank also said the board will decide what to do with profits earned from the activities in Estonia. The non-resident operations that were at the heart of the laundering allegations have been closed down.